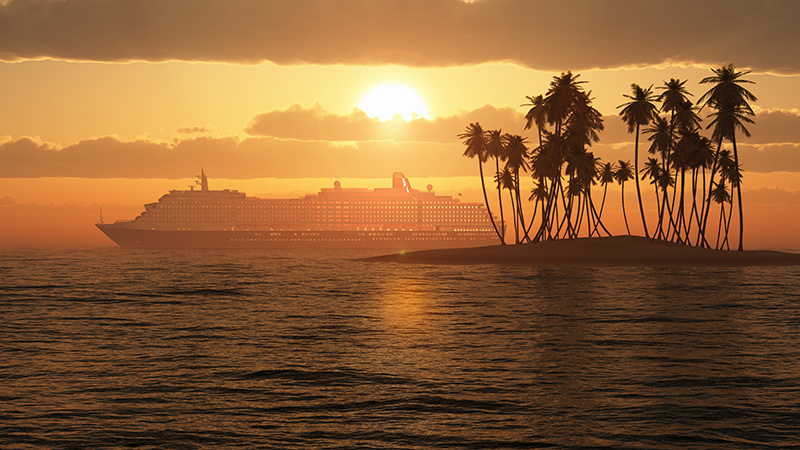 Aloha and welcome to the Hawaiian Islands. A cruise ship passage is popular to combine pleasurable traveling with visiting several of the islands. If you want to see as much as possible, a ship cruise might be more convenient for you than landing on each island by plane. Many cruise ship passengers enjoy exploring the island with rented cars when their ship has landed on the pier. Car rental gives you great flexibility for individual sight-seeing, and is easy to integrate in your vacation plan. Just register for a car when your cruise schedule gives you some time on an island. 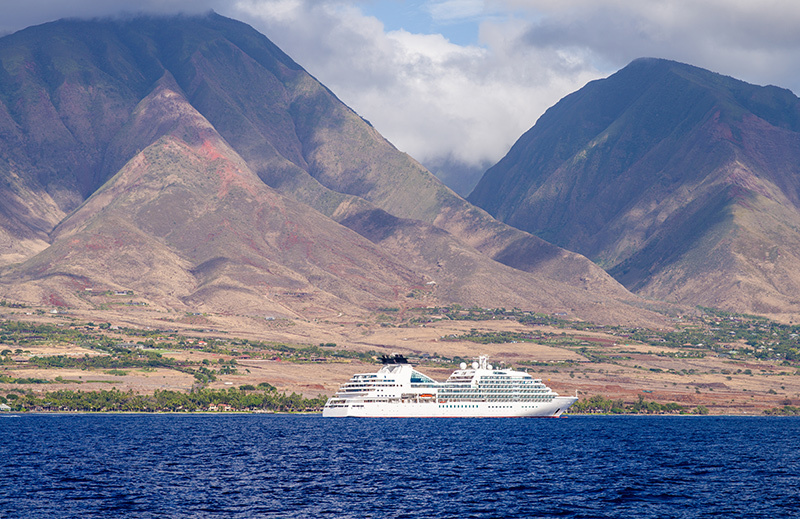 We are pleased to serve cruise ship passengers touring Hawaii. We can easily help you to arrange your one-day car rentals to explore our beautiful islands. 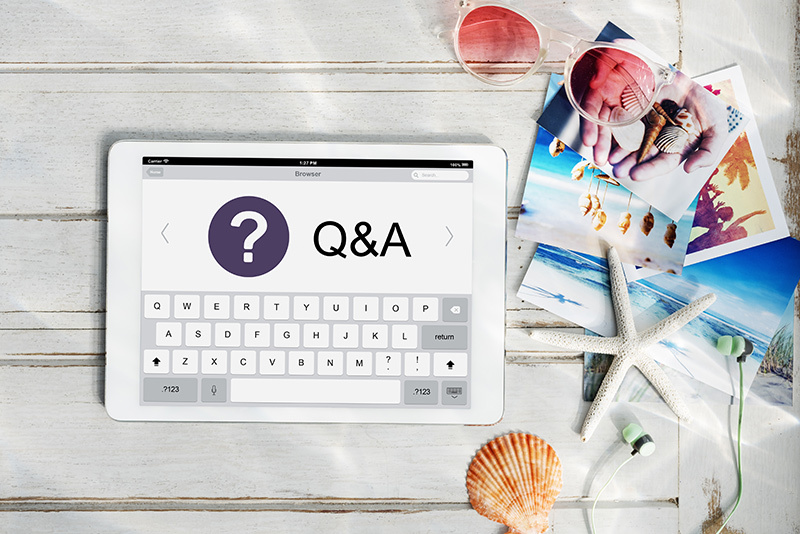 In our FAQ we collected answers to many questions which cruise ship passengers had. Please have a look there for a well prepared trip. Please make a separate reservation for each port. 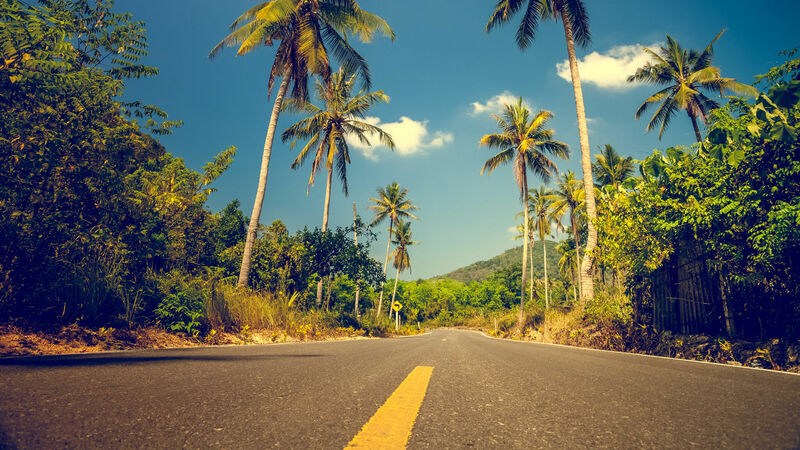 Avoid stress by carefully contemplating whether you actually should take a rental car during a stay on an island. Don’t rely on the shuttle service, be prepared to take a taxi. Plan carefully to drop-off in time to reach your ship. Read our FAQ for cruise ship passengers. Like at the airports many car rental agencies provide a free shuttle to their nearby location. So, when you leave the ship it is just a short bus ride to your rental car and start you personal tour. Please check our list below where shuttle is available. But knowing, that your time on each island is precious, we suggest you consider taking a taxi to the car agency location. Thereby you don’t have to worry whether or not the agency provides a shuttle, when it starts and leaves etc. Since most car renting cruise ship passengers will use the free shuttle, you certainly have to wait in line when you arrive at the car agency location. By taking a taxi you arrive there before the others and eliminate waiting time. Additionally, car rental companies sometimes change their rules and procedures about the “free shuttle pick up at the pier”, without any kind of information for the customer beforehand. And if they provide free shuttle they may restrict that service like only the driver can get free shuttle, not his or her fellows. So we recommend to save yourself the hassle by taking a taxi. Pick up your car and get on the road, before everybody else even arrives at the agency. For Honolulu, the Down Town Agency in Waikiki is providing the free Shuttle pick-up. Please choose “Honolulu City” to arrange your rental car if you want to get the free shuttle. 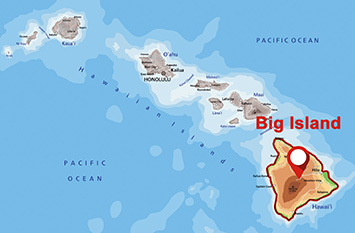 However, in Waikiki the rental car prices and the waiting time are higher and longer than at the nearby airport which includes a much bigger agency. So, clever people just register a rental car from the airport pick-up-location and go there by taxi when their cruise ship lands at the pier. There is no free pick up in Kona. Since Kona was the only place where the drive from the pier to the agency would take more than 30 minutes and the road is often loaded with cars (bumper to bumper) no company wants to take on the responsibility of delivering clients too late to the ship and then have to pay for accommodation if the ship is already gone. However, we suggest to not rent a car in Kona. In Lahaina the free pick up is not guaranteed. We suggest you save time by taking a taxi. If you want to try to get a “free shuttle” check our rates with Budget or Avis. 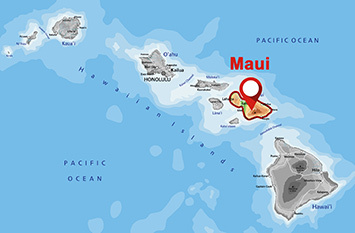 For Lahaina, Maui you need to use the “Maui-Kaanapali” location when you book a rental car. There is only one place to pick up cars in Kauai, which is at the Lihue airport (about 5 minute ride). 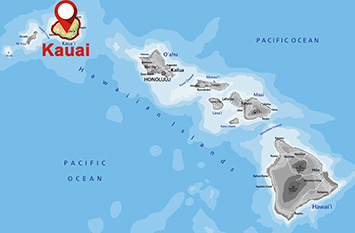 To book the car for Nawiliwili Harbor in Kauai, please use the “Kauai-Lihue” location. If you stay several days, book the car for all the days needed and park it during the nights in a designated area near the pier. Ask the steward or the security agent when you leave the ship where to park the car overnight. When I come with a Cruise ship, how does pick up at the pier work? There are free shuttle buses shuttling between the Cruise-Ship and the pick-up Agency. Most of the pick-up Agencies are at the nearby Airport. 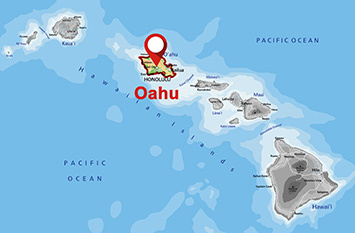 Lihue and Hilo agencies are located at the nearby airport. 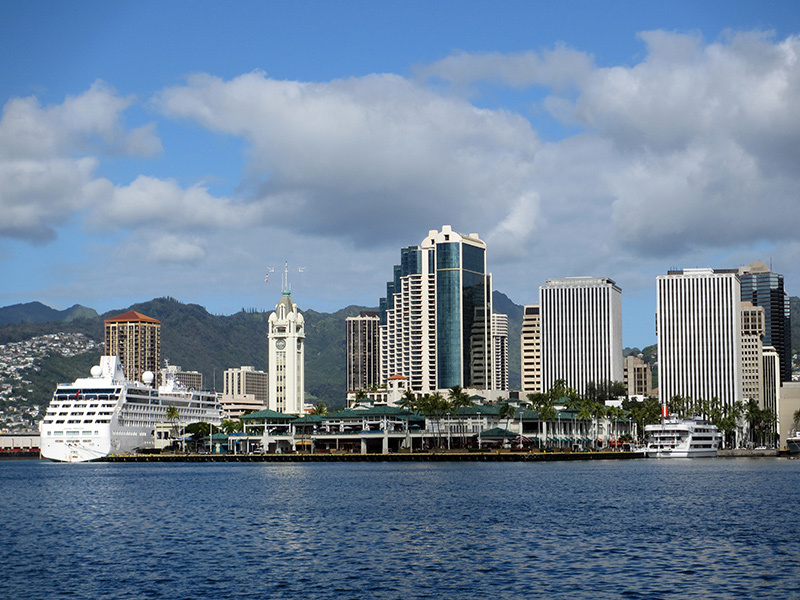 Our Tip for Honolulu: Book from and to the airport and pay for the taxi, since Honolulu pickup is arranged by the Waikiki agency. Since all agencies in Waikiki are much more expensive compared to the airport ones, we suggest to pick up the car at the airport when you return from your cruise (and vice versa). This will cost you taxi money (about $20) — but you get a cheaper rental rate and don’t have to pay the costly “drop-off charges” of $35 on top of the already higher resort rate for the rental car. And you will not have to wait in the crowd in the small Waikiki office with all the clients who try to save $10 with the free pickup shuttle. Alamo and Enterprise do not serve the pier at the Kahului Harbor and the Lahaina Harbor with free shuttle buses. Please consider booking the cars at our other partners (Thrifty or Dollar) or use a taxi to get to the airport. (on Maui it’s about 5 minutes ride). Should we call the local Agency before we leave the ship, so that they can send a Shuttle Bus to pick us up? No, they will not come to the ship until you are on shore. With 3000 people on the ship it will not be possible for you or the rental car company to be specifically there when you leave the ship. The ship is like a Bee house and shuttle busses are coming and going. Note that you will get a list with the phone numbers for all the local agencies once you’ve booked the cars. Please print this list and make sure, you have it with you on your cruise, together with the confirmation email for each car. How precise does the timing have to be if, for example, we are scheduled to pick up the car at 9 a.m. and then we come at 8 a.m. or 10 a.m.? Does this cause a problem or cost more? No problem. You can easily play with plus or minus one hour.